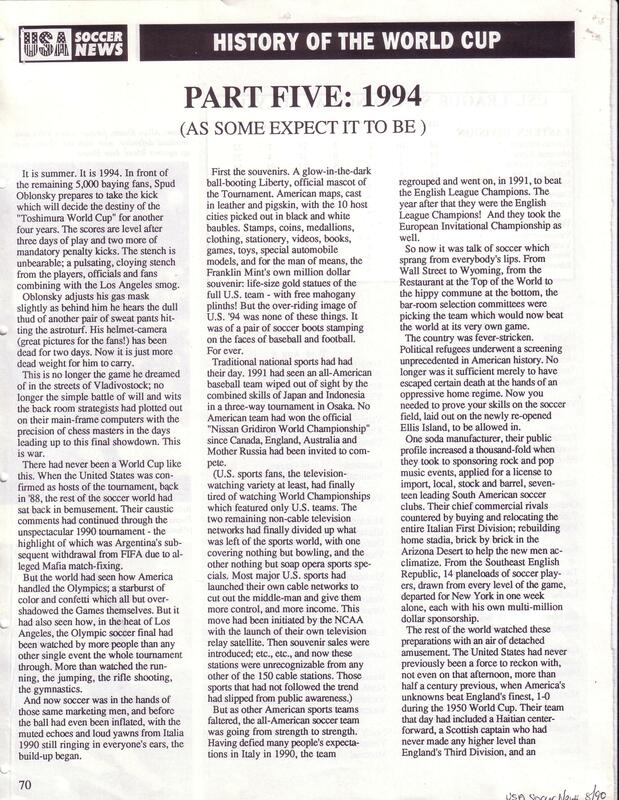 For six months leading up to the 1990 World Cup, I contributed a history of the tournament-so-far to the newly launched American magazine USA Soccer… four installments taking us through to the upcoming competition, and then two more looking ahead to the next event, in the US itself in 1994. It was a dire prophesy that ultimately turned out to be completely unfounded. 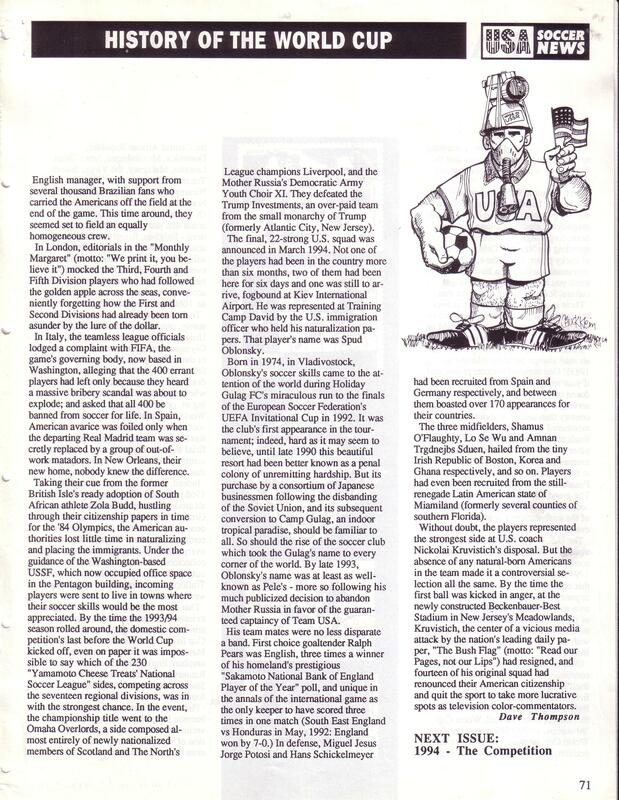 But we didn’t know that when I wrote it….